The infrastructure planning environment is increasingly complex in light of shifting demographics, rising stakeholder expectations and consumers’ desires for greater choice and access. 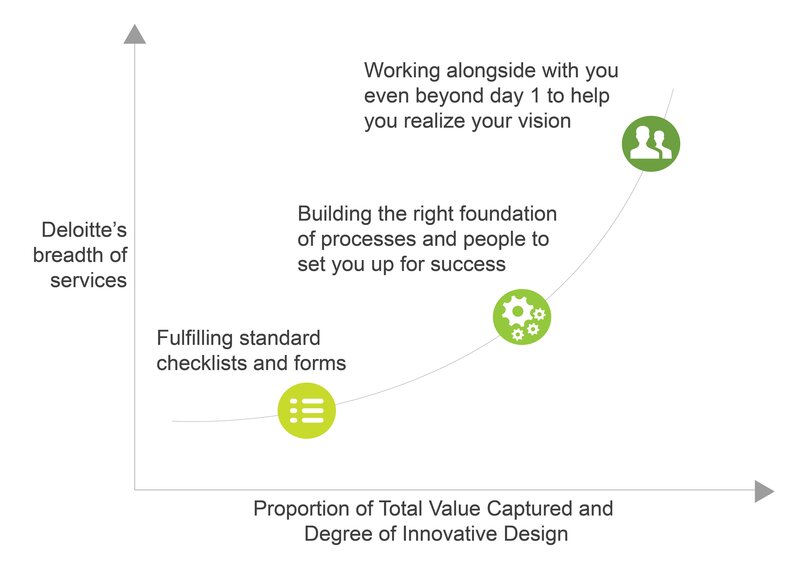 Deloitte can help navigate the planning process and ultimately optimize the benefits of your new health space. 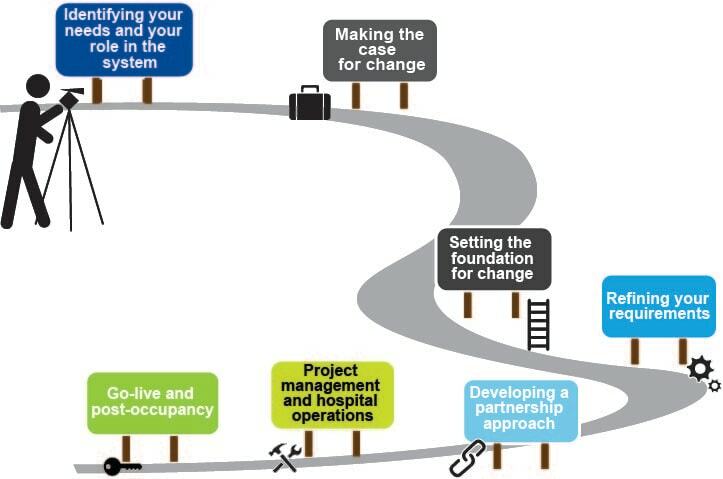 Successful infrastructure planning, both today and in the future, relies on health service organizations' ability to effect sustainable change while staying agile in the face of ongoing operational and systemic pressures. The infrastructure planning environment is becoming increasingly complex in light of shifting demographics, rising stakeholder expectations and consumers' desires for greater choice and access. Planning is further challenged by the realities of restricted funding, evolving regulations and fast-paced medical innovation. 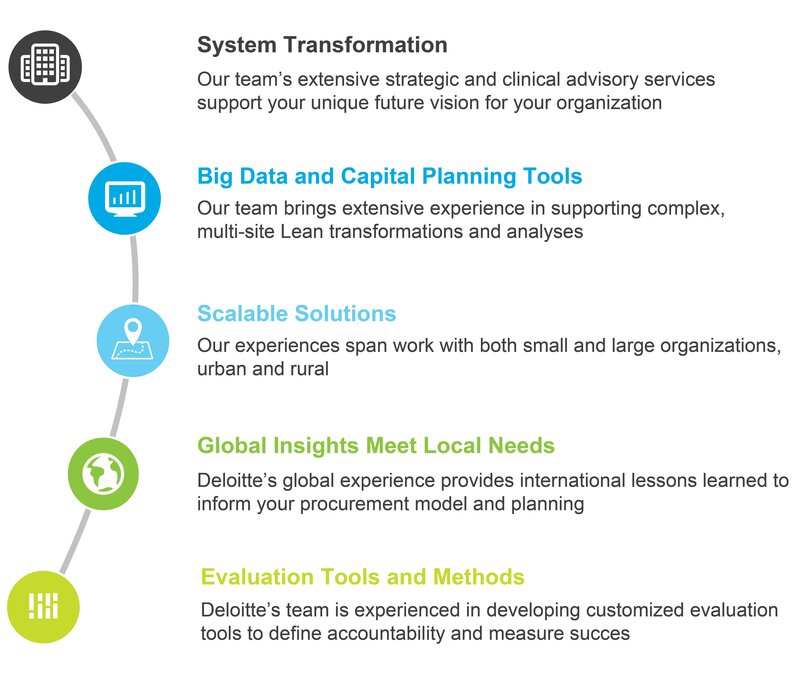 To help health service organizations make the most of this critical investment, Deloitte leverages the expertise of local and global specialists who have experienced the challenges and captured the benefits of successful activation services across health organizations internationally. Working alongside you, our professionals will help you navigate the planning process and develop a robust strategy to optimize the benefits you will ultimately realize as you define your vision for your new health space - including enhanced efficiency, patient care, accountability and contract compliance.